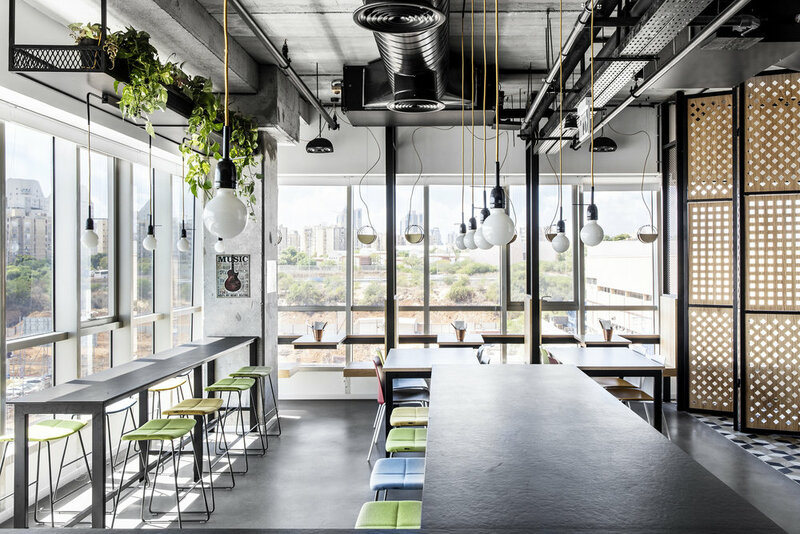 The 1,000 square meter office occupies and entire floor of a building in one of Netanya’s industrial parks. 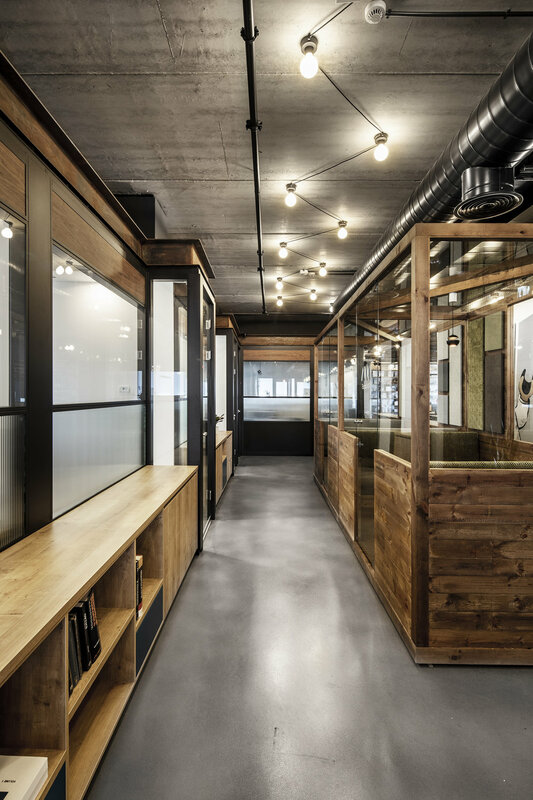 Roy David Architecture was commissioned to design an industrial designed space that reflected the nature of the company while also answering specific technical need in both the office spaces and exclusive labs. 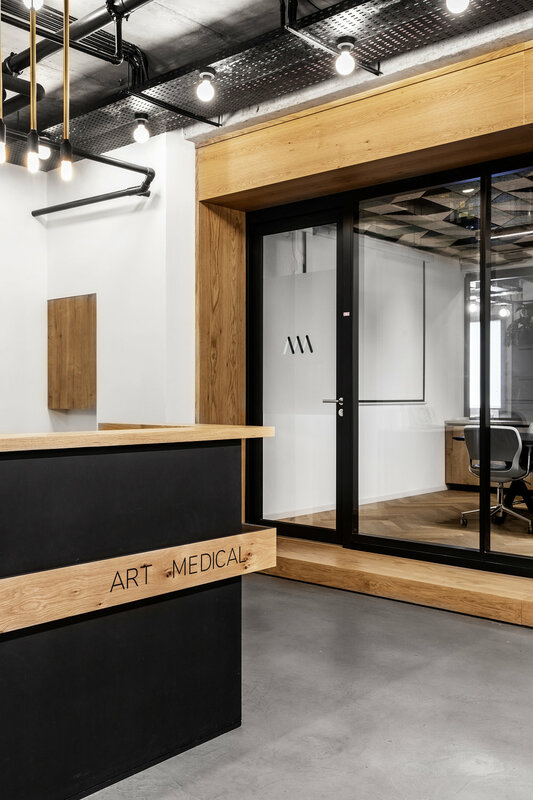 ART MEDICAL was founded in 2009, based in Israel and Palo Alto CA. The company offers a range of products that optimize enteral feeding as well as detect and prevent aspiration pneumonia, VAP and Acute Kidney Injury in intubated patients. The company is always expanding its technology and constantly working on clinical validations. 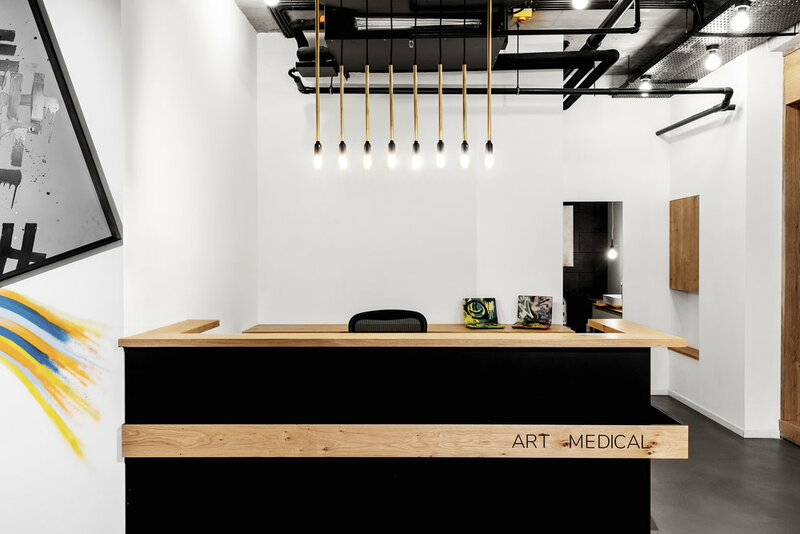 The primary design objective was to create a space that not only spoke to the nature of the unique products ART MEDICAL creates and develops, but also to provide a variety of working environments that would accommodate the unique and highly technical work done by the company’s employees. The space was also to meet the ART MEDICAL culture and define an expected hierarchy between the different departments. The design language is closely tied to and inspired by the company’s unique product, which is industrial in its nature with extreme attention to detail. 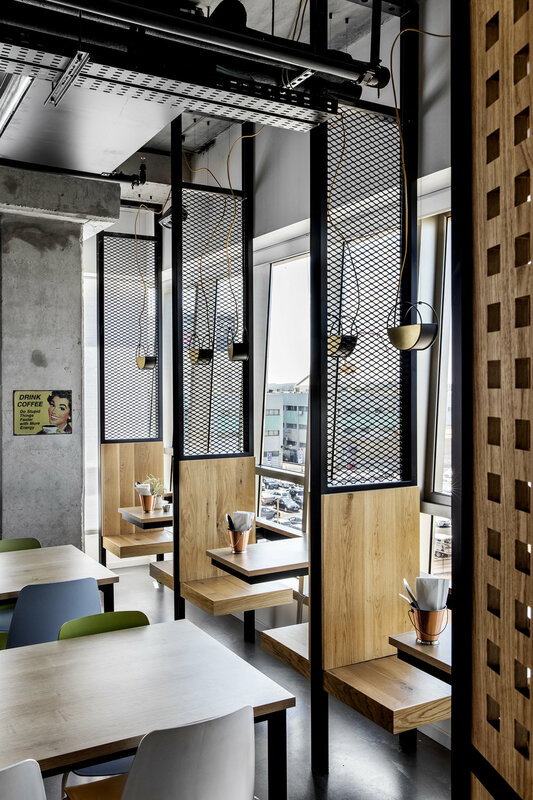 The space is composed of three prominent materials, concrete, wood and black metal. 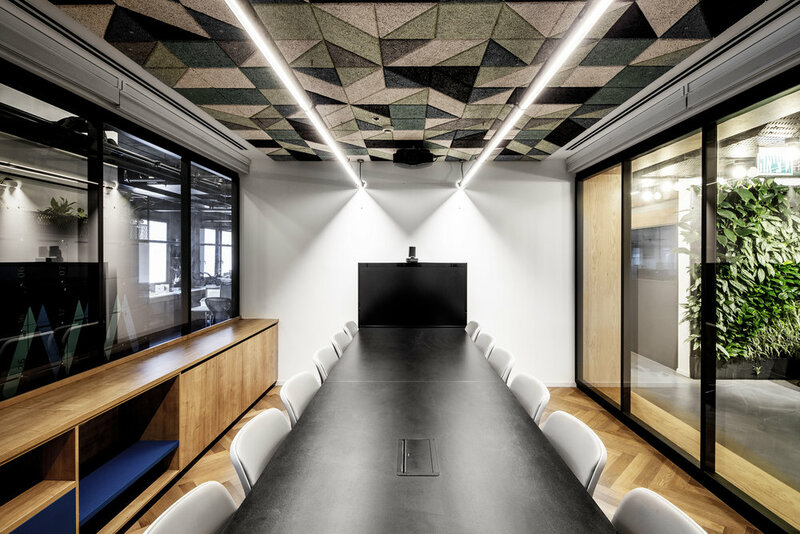 Together, they create a fine and clean design accentuated by crisp lines and industrial detailing while the ceiling systems are exposed under the untouched rough ceiling. The experience in the space is enhanced by dramatic lighting with unique fixtures chosen carefully for each area and type of activity. 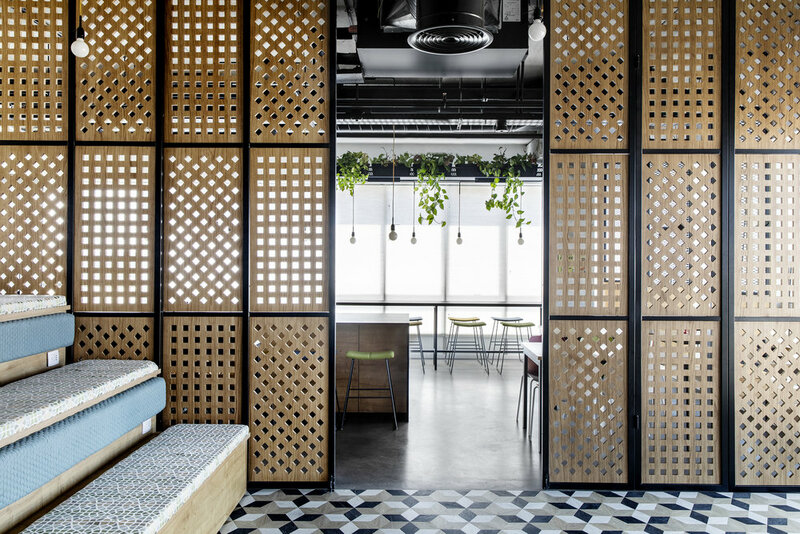 The touches of colour throughout the project can be found primarily in the furniture pieces, upholstered carpentry and wall art. All offices and work stations are located along the curtain wall, to allow for the employees to enjoy natural sunlight and an outdoor view. The space cantered part of the plan is utilized for meeting rooms, breakout lounge areas and labs. The large kitchen, also located on the curtain wall, is defined by large central bar seating, with diners and low seating on the periphery. Adjacent to the kitchen is a meetup and conference space separated by sliding wooden door. 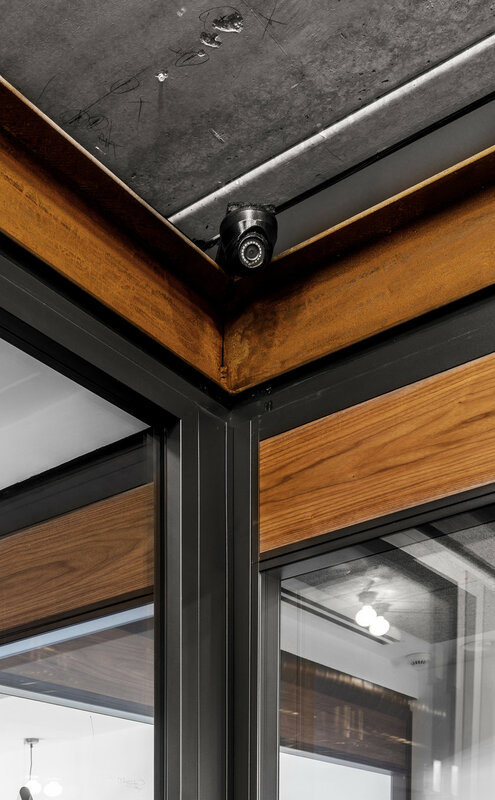 Carpentry items throughout the project are custom made and designed by Roy David Architecture to fit the specific need of it’s end user. 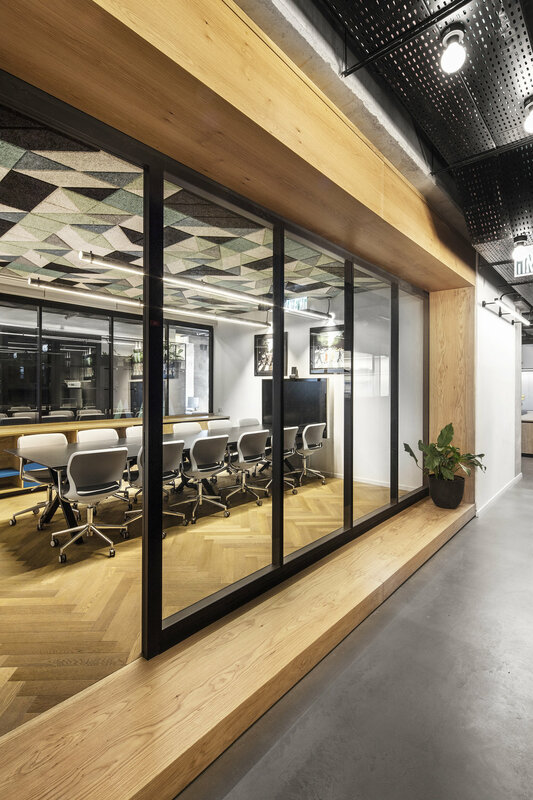 Especially noted are the open space workstations with separating cubbies for storage and screens that allow each employee to personalize they’re personal space. Also unique are the stand-alone booths that allow for informal meetings and encourage collaboration. 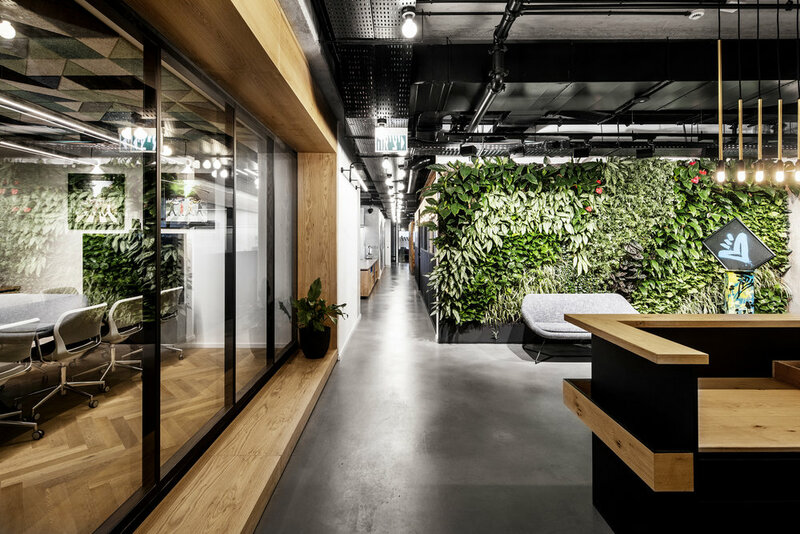 The entrance to the project, defined by the large wooden framed meeting room, black reception desk and an outstanding green wall, encapsulate the designed experience of this office.